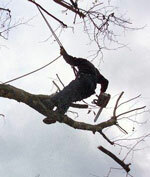 Cornwall Tree Surgeon, Toby Clark offers Tree Surgery services throughout Cornwall. Call Toby Clark today to discuss the maintenance of your trees, it is important and you need an expert tree surgeon to ensure competent proffessional tree care. 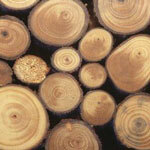 Large trees need to be checked regularly to ensure their health and for safety reasons. An outwardly sturdy tree may be dangerously unsafe. Toby Clark is an experienced tree surgeon in Cornwall, qualified for the inspection and either total or partial felling of dangerous trees. As well as carrying out preventative measures to keep a tree healthy and strong, we can carry out the removal of damaged or diseased trees or sections in difficult locations and positions. We also offer pruning, reshaping and transplanting of trees, all carried out professionally and cleanly. Sites are always left in pristine condition, including stump removal if desired.